Vitamin infused serum that helps to firm the connective skin tissues, facilitating tighter & tauter skin. Rare gems of the Amazonian forest, Buriti and Pequi oils are bursting with Vitamin C, beta-carotene and omegas 3-6-9. 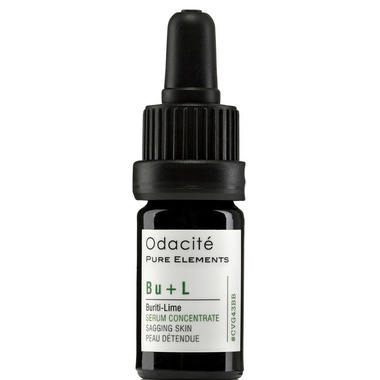 These precious nutrients help to boost collagen production, serving to visibly firm and redefine facial contours. To use: In the palm of your hand, supercharge your daily moisturizer by mixing in 2-3 drops of Bu+L. Or apply alone for a more intensive treatment. Ingredients: Highest-grade cold-pressed Buriti (Mauritia flexuosa) fruit oil, Pequi (Caryocar braziliensis) Seed Oil Lime (Citrus aurantifolia) essential oil, Certified GMO-free Vitamin E (Tocopherols) oil.